The count of eligible voters in Calgary's Olympic plebiscite was more than 100,000 higher than in the municipal election just one year earlier — and it's not clear why. University of Calgary political science professor Jack Lucas first noticed the discrepancy and spoke with city officials about it prior to the plebiscite, but he remains puzzled. "I still feel like it's slightly mysterious why there would be such a big difference between the two," he said. CBC News has been seeking an explanation from Calgary election officials since Wednesday, but so far they have turned down interview requests. Lucas stressed the discrepancy would have had no impact on the outcome of either vote. 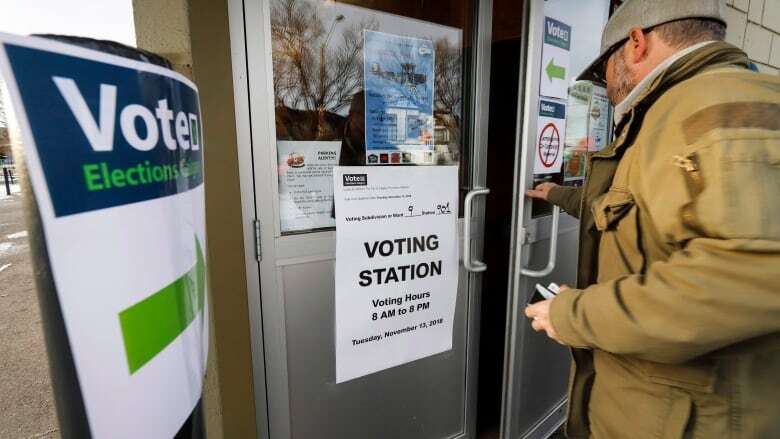 But he said it does affect the voter turnout rate — and suggests the actual turnout in last year's municipal election was likely about five percentage points lower than the 58.1 per cent reported at the time. Lucas believes the discrepancy is mainly due to different methods used for counting eligible voters. Lucas said his understanding is the city used its own civic census in the spring of 2017 to estimate the number of eligible voters ahead of the fall election. After the vote, the final count was reported as 666,663 enumerated electors. But, due to the timing of the Olympic plebiscite, the city wasn't able to do the same thing in its 2018 census. So it relied on a provincial tally and, after Tuesday's plebiscite, reported the figure at 767,734 eligible voters. "The basic difference seems to be that the count of eligible voters is just done very differently at the municipal and provincial levels," Lucas said. While the city relies on its census in election years, the province "maintains a permanent registry of voters," Lucas said. 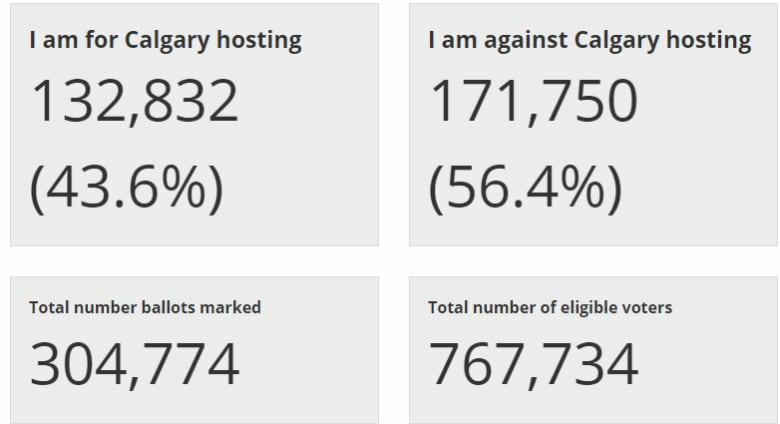 The provincial count is updated regularly using data from a variety of sources, he said, including Elections Canada, motor vehicle registries and death registries. Elections Alberta also does door-to-door enumeration to ensure the list is as correct and current as possible. "If we had to pick one as the more accurate of the two, the provincial permanent registry is probably the one to pick," Lucas said. Population growth would also account for some of the discrepancy — but only a small part. The city grew by about 21,000 people between 2017 and 2018, although not all of those new residents would be eligible voters. Slight differences in voter eligibility rules at the provincial and municipal level could also play a role, but Lucas said that would be a "small component," as well. He said the biggest factor is "just the way they maintain these counts" of eligible voters. And while the size of the discrepancy may still be mysterious, Lucas said the fact that the provincial and municipal counts don't exactly match shouldn't be surprising at all. He said figuring out how many people are eligible to vote in any given election is "actually really complicated." Methods vary from election to election and from place to place, Lucas said, so turnout rates — calculated by dividing the number of ballots cast by the number of eligible voters — should really be considered as more of a "general indicator" than a precise measurement. "In this case, it's a real lesson in the difficulties involved in comparing turnout rates across time and across levels of government — and even across different cities," he said.